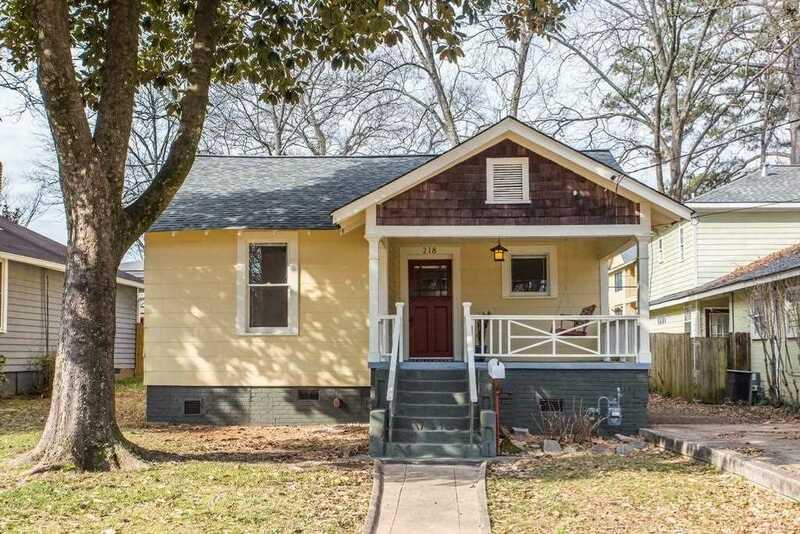 This classic Edgewood Craftsman delivers on your bungalow dream with an oversized front porch, hardwood floors, double decorative fireplaces, claw foot tub and great flow. Large kitchen opens to both the dining area and deck, and overlooks the level backyard with detached workshop ready for your rental conversion. Master suite offers a rare walk in closet and private bath. A stone's throw from Marta - true Intown living awaits! Offer submission deadline is 2/10/19 at 5 pm - in receipt of multiple offers. Directions:North on Moreland Avenue, right on Hosea L Williams Drive, left on Whitefoord Avenue, right on LaFrance Street, right on Lowry street. Home will be on your right. SchoolsClick map icons below to view information for schools near 218 Lowry St NE Atlanta, GA 30307.